YogaWorks Hollywood, located near the corner of Sunset and Vine features two beautiful and modern practice rooms with some of the best yoga teacher in Los Angeles. The studio is equipped with spa-like retreats featuring full showers and lockers - making it the perfect choice for all your pre-work, lunchtime or post-work classes. The newly updated schedule has classes that are perfect for new yogis, seasoned practitioners and everything in between. The schedule features classes in a wide range of styles including popular Vinyasa Flow, Yoga Basics, YogaWorks Signature, Gentle Yoga, Power Flow, Restoratives, and Iyengar. We also offer our fitness classes including BarWorks®, SculptWorks®, and TRX® as well as Pilates Mat and new classes like Slow Flow, Chill and Still, The Yoga Mix and the lunchtime Flow Express. The studio has a large retail boutique that carries a diverse mix of quality products from some of the best yoga brands. We have everything from mats to props to stylish new practice outfits. The studio can be reached just north of Sunset Blvd. on the west side of Vine St. in the courtyard across from Jersey Mike's and next to the Hungry Cat. 1 hour FREE parking validation available to all guests and members in the underground garage that can be accessed from Morningside Court off of Sunset Blvd. Park anywhere and take the elevators up to the studio. Add 30 minutes for just $1.00. Street parking also available. You can now reserve a class online. If you have already taken a class at YogaWorks, you may already have an account. Learn more. This request may take a while, please be patient. Free Week of Unlimited Yoga! First time students only. Local ID required. 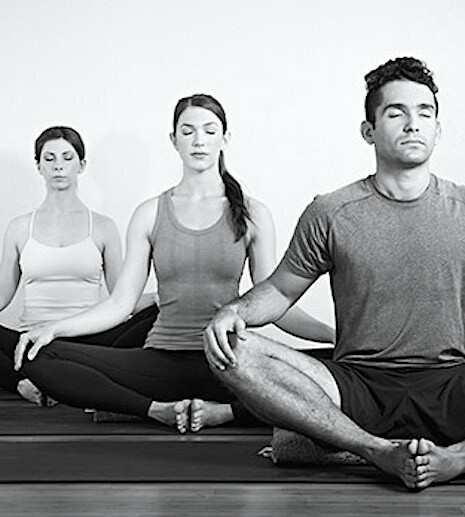 Weave yoga into your lifestyle and wellness routine with a YogaWorks class package. Get started with an unlimited monthly membership and get your 1st month for just $69! Terms apply, see below. Your 1st Month is $69! Your first month of unlimited yoga is only $69! New members only. 3-month commitment required. PROMOTIONAL MEMBERSHIP TERMS Membership offer requires a 3-month commitment and ends on 4/30/19. Cannot be combined with other offers or discounts. Available only to new monthly members (have not been a monthly member for at least 6 months). Class Packages are non-refundable and expire 6 months from the date of purchase. To discuss reactivation or extension options, please contact your local studio and we'll be glad to help you. *All introductory offers, including discounted first or last months, are valid for first-time YogaWorks members only. A discounted introductory membership will not be available to a member again, including for membership lapses, cancellations and subsequent renewals or other reasons. 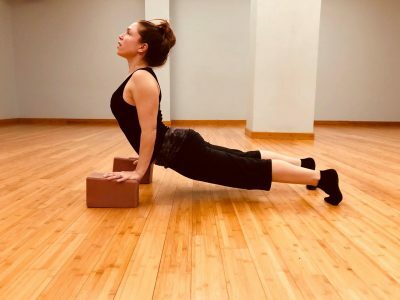 Join us as we prepare the mind and body for arm balances by moving step-by-step in a progressive way to understand the essential pieces of arm balancing, as well as transitioning in and out of these playful postures. • Provide tools and information to make arm balancing available in your daily practice. • Get playful and fly! This workshop is suitable for anyone wanting to build up their arm balance practice. A familiarity with sun salutations and vinyasa is recommend but not required. Carmen Guerrero’s journey has been of integration. 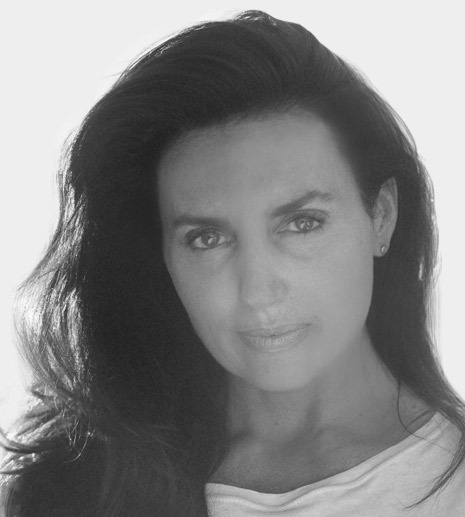 Weaving yoga, ritual, and anatomy, Carmen brings a fresh perspective to her teaching. She’s a tour guide on your way to the gateways where your body and spirit connect so that you can rediscover your own potential for healing and growth. Full payment is required to reserve a space in workshops. All workshops are non-refundable. Cancellations made two weeks or more prior to workshop start date will be issued store credit. No store credit will be given for cancellations made less than two weeks prior to workshop start date. YogaWorks is not responsible for any costs incurred for travel arrangements or accommodations related to this event. This course provides 27 hrs of CE credit for Yoga Alliance. Off the Mat founders, Seane Corn, Hala Khouri, and Suzanne Sterling have been teaching the powerful 5-day Yoga, Purpose and Action Leadership Intensive for a decade. The work has evolved tremendously and out of this growth, they are launching the 2.0 version. Yoga, Purpose and Action 2.0 is a 5-day leadership intensive for anyone wanting to discover, refine or expand their purpose in the world and live a life dedicated to justice and inside out transformation. We believe that collective liberation is the goal and this requires a commitment to a personal journey of introspection, healing and accountability that allow us to participate in an effective and healthy way. We also believe that embodied practices like yoga, meditation and ritual are powerful tools for both self-inquiry and sustainability. The arc of this training begins with a personal inquiry about the ways you have been shaped by your life experiences and how that influences how you see the world and participate. Next, we explore how to transform our wounds into our gifts, with a very practical and creative approach to taking action in conscious and collaborative ways. All of this is done within a context that acknowledges the systemic issues that shape our worldview and our actions. OTM founders each get to share the essence of their work this week. This is a rare chance to be with three world-renowned facilitators who model collaboration as one of the crucial tools for ongoing action. o Embodied Social Justice: Power, Privilege and Positionality: How we are shaped by the larger systems we live in. o Purpose and Action: What does conscious engagement look like and what do you need to move forward towards living a life of meaning and sustainability dedicated to justice for all beings. This training is for people looking to envision, articulate and live fully their purpose as well as those deeply steeped in their work but who need community and support. We are committed to creating a space where people of all genders, gender identities, races, abilities, body size and sexual orientation feel included. If you have already done our 5-day intensive, we suggest considering doing this one. Our trainings have evolved tremendously and people who have repeated the course have expressed that it was highly beneficial and strengthened their work in the world. Scholarship applications are now being accepted. Link to apply: https://goo.gl/U22xUF Deadline to apply is January 22, 2019. Scholarships do not include travel or accommodations. *Course registration price does not include housing. *While the course starts on 4/22, we strongly recommend arrival on the 21st. **At OTM, we stand for leveraging our privilege to support others. If you can afford to, please consider paying it forward by paying any amount above $700. This allows us to continue scaling the prices of our intensives so that everyone is included. We are committed to cultivating a diversity of voices and life experiences in our trainings and making them accessible to people of all income levels. Off The Mat, Into The World is the only training institution within the yoga community, bridging both yoga & activism. 100% of proceeds from the event will be donated to the organization in order to continue underwriting scholarships toward leadership intensives. OTM is leaders worldwide in social change, and is the bridge between yoga, self-inquiry, and deep sustainable community action. OTM offers hundreds of scholarships toward their leadership trainings each year, and does their best to ensure no one is turned away due to an inability to pay. Learn the proper AcroYoga fundamentals of basing, flying, spotting and various exhilarating partner postures. Play with balance, strength, and trust to cultivate deeper connections, core awareness and playfulness. • We will work in groups to understand the roles of a base, a flyer, and a spotter so as to create a safe and enriching experience for all who participate. • Spend time playing with balance, trust and movement through Partner/Acro Yoga, cultivating resiliency, mindfulness, breath, body and core awareness. Open to all levels with a love for challenge. No partner or previous AcroYoga experience required. 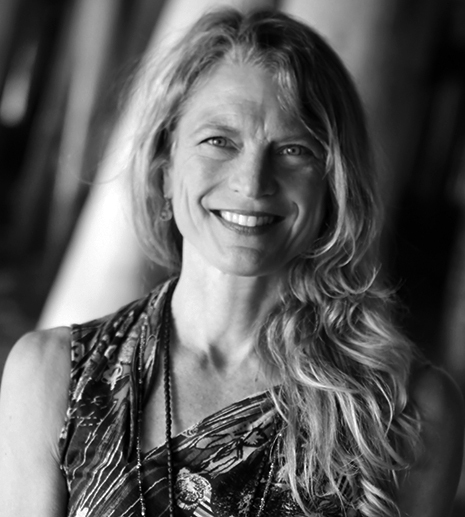 Authentic to Laura Anderson's energetic personality, her classes are challenging, methodical and invigorating enough for the athletically minded, yet instructive enough for all yogis determined to improve upon their own practice. She emphasizes alignment, taking the time to set up postures, ensures smooth transitions with an emphasis on increasing mobility, stability, core strength and most importantly, HAVING FUN! She brings skills, experience and work ethics from her past in career/admission counseling and professional beach volleyball playing days, along with her love of music into the studio to create her unique style of teaching. She hopes to help students build the foundation toward a healthy, lifelong, invigorating yoga practice for years to come. 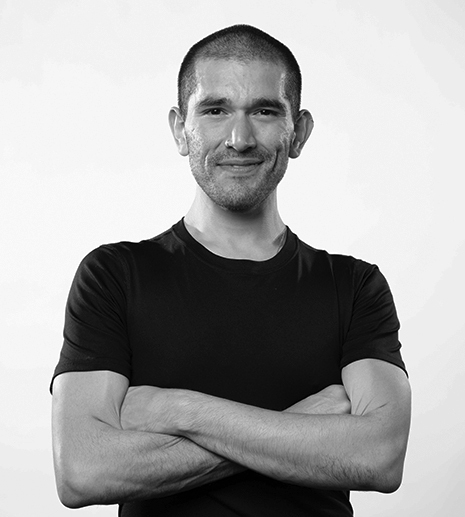 Derek Rubiano is an international acro, yoga, circus and handstand teacher. Born and raised in the South Bay, Derek is most in his element performing on stage, upside down finding balance, or helping others reach past their comfort zones and overcome limiting barriers. *ENROLLMENT NOTE: Advance price registration for this training is not available through the mobile app. Please visit YogaWorks.com/classes/workshops or call YogaWorks South Bay at (310) 322-6500 to register at the advance price. Join Birgitte Kristen for a healing Yoga Nidra experience. 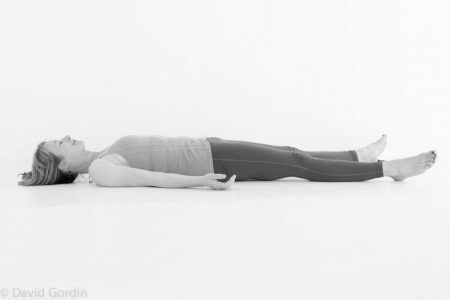 A meditation technique that promotes deep rest and relaxation, Yoga Nidra guides you into a deep state of stillness. It's a simple meditation one can maintain and use in times of stress and/or insomnia. Come enjoy a beautifully centering, restorative practice that rejuvenates the mind, body and soul. This workshop is appropriate for students of all levels and interests. 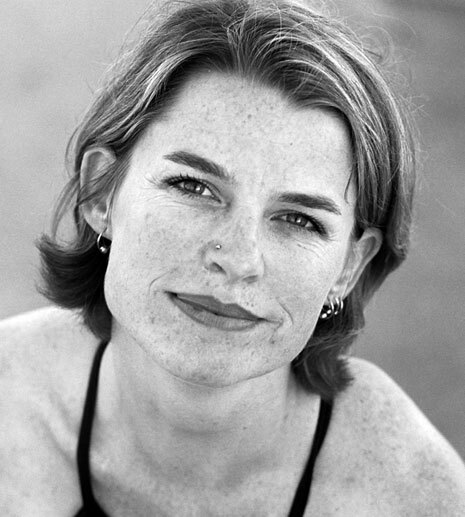 Birgitte Kristen is a Senior Teacher Trainer for the 200 and 300-hour YogaWorks training programs and she has been teaching Yoga classes at YogaWorks for more than 25 years. 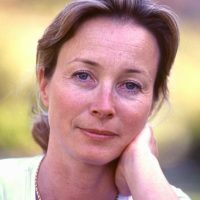 Birgitte also regularly leads workshops and retreats both nationally and internationally. 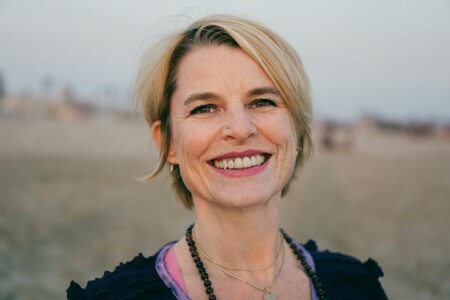 Birgitte is currently studying with Richard Miller, a Yogic scholar and the founder of iRest, which is a modern adaptation of the ancient practice of Yoga Nidra. *ENROLLMENT NOTE: Advance price registration for this training is not available through the mobile app. Please visit YogaWorks.com/workshops or call YogaWorks Playa Vista at (424) 228-8899 to register at the advance price. Meddy Teddy is a fun, interactive, soft and cuddly way to experience yoga, meditation and mindfulness on your own. • Learn easy breathing and age-appropriate poses to improve strength, flexibility, balance, self-esteem and coordination. • Learn mindfulness exercises that involve focusing on the here and now, instead of challenging our energy and worrying about mistakes of the past or uncertainties of the future. • Discover yoga poses for beginners that kids can master. • Enjoy simple breathing techniques to help self-soothe and enhance focus. Suitable for kids 4- to 8-years-old. Meg Randazzo practices to come home to herself. Her time on the mat practicing asanas gives her the opportunity to look inward and observe what arises. This self-study can bring about real transformation - mind, body, and spirit. Please join us for an exploration of cobra and upward facing dog variations as well as engaging the correct alignment for these two classic yoga asana poses. • Refine the transition from chaturanga to cobra or upward-facing dog. • Understand correct alignment and placement for cobra and upward facing dog. • Explore the benefits of these two chest openers and why its important to utilize both. Suitable for beginners to experienced practitioners. 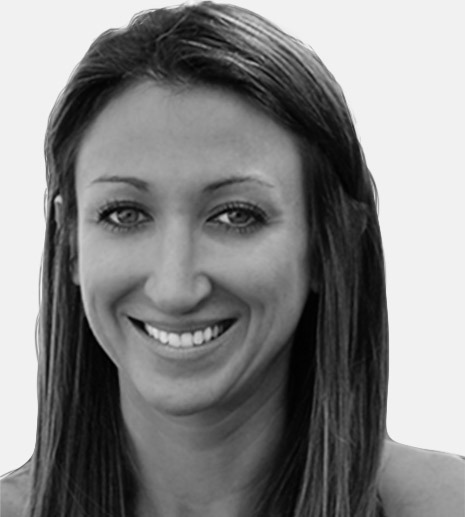 Julia Garro is a longtime student of yoga since the age of 14. Her experience in acrobatics and sports have honed her yoga teaching as a therapeutic and transformational medium for the body and the mind. She is a knowledgeable and experienced teacher in many yoga modalities including advanced postures, conditioning, therapeutics, and vinyasa flow. *ENROLLMENT NOTE: Advance price registration for this training is not available through the YogaWorks mobile app. To purchase at the advance price, visit yogaworks.com or contact YogaWorks South Bay at (310) 322-6500. *Students who register for both Roll Model® workshops (Sat & Sun) receive $25 off each registration (can be applied to early bird rate). Please call your studio for discount. The Science of Rolling empowers you to personally adopt and teach simple and effective self-myofascial release regimens. In this training you will learn how the Roll Model® and Yoga Tune Up® Therapy Balls can be used as an adjunct offering within yoga classes, personal training sessions, wellness coaching, massage therapy, and special populations. Maintain your body and prevent injuries using self-care strategies with the Roll Model® Therapy Balls. Identify bony landmarks, muscular attachments, and fascia geography to enhance your teaching and personal daily practice. Deepen your understanding of pain physiology and how to use the Roll Model® Balls to erase pain. Lead classes through step-by step, proven, whole-body exercises, approved by physical therapists, pain medicine specialists, and chiropractors, that can affect positive changes in the rotator cuff, spine, neck, jaw, hips, IT band, calves, and feet. Use this training to learn strategies for your own health and maintenance, or incorporate Roll Model® Therapy Ball sequences into your teaching toolkit by introducing embodied anatomy concepts to your students. *This module is open to all levels of students, educators and clinicians. **Tuition for the Science of Rolling includes the following: Course manual, (1) Pair of Original YTU® Therapy Balls, online access to the Massage Kit DVD, and an optional certificate of completion. Pregnant couples participate in a gentle yoga practice; learn breath work and relaxation, birth positions and also learn how to use a birth ball. Join other couples in this fun and informative couples pregnancy yoga workshop. Gentle practices and techniques under Patricia’s expert guidance sets the foundation to cultivate awareness of your birthing body and enjoy connection with your partner. Please bring one shawl, one inflated birth ball or fitness ball (65-72 cm) per couple and one yoga mat per person. Open to pregnant couples. No prior yoga experience required. 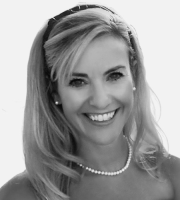 Patricia A. Anaya has been certified pregnancy yoga teacher and birth doula for over a decade. She has a thriving birth doula practice in Los Angeles. She teaches childbirth education to expecting couples in the South Bay. 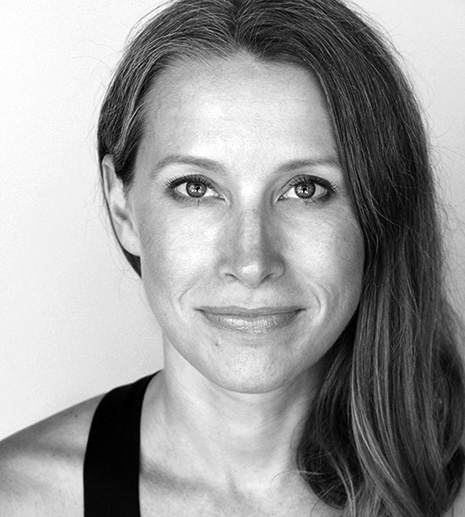 Patricia is the author of Bumps in Motion: Yoga Sequences from Around the World. *ENROLLMENT NOTE: The advance price for this training is not available through the YogaWorks mobile app. To purchase at the advance price, visit yogaworks.com/workshop/couples-pregnancy-yoga-for-birth-051819 or contact YogaWorks South Bay at (310) 322-6500. Explore the practice of yoga and travel from the outside in. Investigate the deeper elements of asana and pranayama that will add strength and softness to your practice. Learn how to make challenging postures accessible by cultivating Sthira Sukham which is when effort is balance with ease. We will look at both the physical and the subtle energies that help to support postures by managing our energy in an efficient way creating balance and steadiness within. This workshop is suited for practitioners looking to deepen their own practice, teachers looking for inspiration, and any student who is curious about yoga. One year of yoga practice is advised. Joan Hyman spent fifteen years as a distinguished YogaWorks senior teacher before bringing her expertise to Wanderlust as Director of Teacher Trainings in 2016. 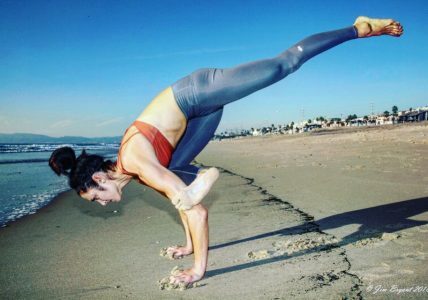 A leader in the Los Angeles yoga community, Joan’s open-hearted approach to teaching yoga keeps both her inner spirit and her students continuously evolving. **ENROLLMENT NOTE: Single session registration for this workshop is not available through the mobile app. Please visit YogaWorks.com/workshop/why-we-practice-weekend-immersion or call YogaWorks West Hollywood at (323) 654-2125 to register for single sessions. Like yoga, happiness is a practice. Sometimes it’s effortless and easy, and sometimes it requires digging deep and overcoming resistance. And just as repeatedly doing chaturanga strengthens your triceps, choosing contentment strengthens your happiness muscle. Explore how your practice can be a portal to finding joy in your life and opening up to beauty and meaning all around you. Attendees can look forward to a discussion connecting the neuroscience of happiness and yoga philosophy, as well as practical tools for optimizing wellbeing, yoga nidra and a potent vinyasa flow practice. We will sing the body electric and breathe the body of bliss. Dearbhla Kelly, M.A., began teaching yoga in 2003. She skillfully marries the more esoteric teachings of yoga with modern scientific insights and the practicalities of everyday life and weaves the philosophical aspects of yoga into her asana teaching. Her teaching style is accented by her warmth and keen intelligence combined with dynamic sequencing and attention to breath. A dedicated ashtanga practitioner, her lilting Irish accent and Dublin wit make her classes uniquely enjoyable and her generous hands-on assists speak to the depth of her own practice..
*ENROLLMENT NOTE: The advance price for this training is not available through the YogaWorks mobile app. To purchase at the advance price, visit yogaworks.com/workshop/happiness-yoga or contact YogaWorks Los Feliz at (323) 486-0970. Put the power of self-myofascial release into your own hands in this training that empowers you to personally adopt and teach simple and effective self-care regimens for health and improved performance. The 4 different sized Roll Model® Therapy Balls included in this module can be used as an adjunct offering within yoga classes, personal training sessions, wellness coaching, massage therapy, and special populations. Explore self-myofascial release in areas of your body frequently over-used, like the hands and knees, or completely ignored like the diaphragm and pelvic floor. Improve classroom demonstration of Roll Model® Therapy Ball techniques and trouble-shoot classroom pitfalls and challenges when presenting to beginners or more experienced students. Learn the art of crafting test/retest scenarios to provide instant feedback of improved function or reduced pain. Refine your anatomical fluency of bony landmarks, muscular attachments, and the fascial seam-system through experiential mapping strategies. This training is open to all levels of students, educators and clinicians. There is no prerequisite to attend, but you are highly encouraged to take The Roll Model® Method: The Science of Rolling before or after taking this course. * Tuition includes all Roll Model® Therapy Balls (1 pair each of original Yoga Tune Up® Balls, Therapy Ball Plus, 1 ALPHA, and 1 Coregeous® Ball), course handbook and an optional certificate of completion. Arm balancing can be deeply transformative to the physical body and nervous system, improving strength, flexibility, and stability, while promoting greater concentration and mental steadiness. Practicing arm balances can also improve students’ confidence and allow them to have fun while exploring different asanas and variations. 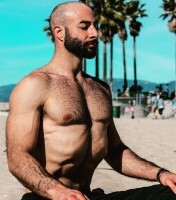 • A one-hour vinyasa flow practice including specific preparatory actions for arm balances (e.g., hip openers, twisting, core exercises, shoulder, and wrist stability). Open to all levels of practice. Beginners as well as seasoned practitioners will learn how to start and or refine their practice of arm and hand balancing. 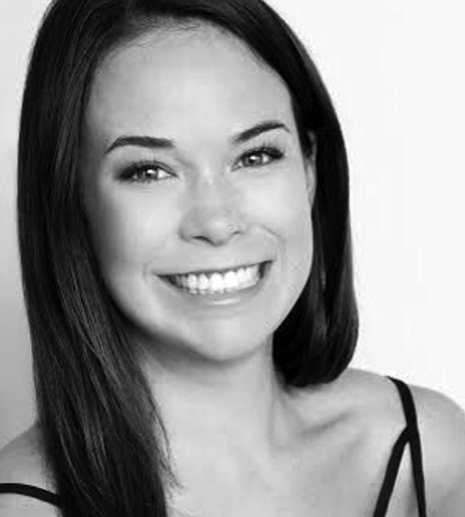 Authentic to Laura Anderson's energetic personality, her classes are challenging, methodical and invigorating enough for the athletically minded, yet instructive enough for all yogis determined to improve upon their own practice. She emphasizes alignment, taking the time to set up postures, ensures smooth transitions with an emphasis on increasing mobility, stability, core strength and most importantly HAVING FUN! 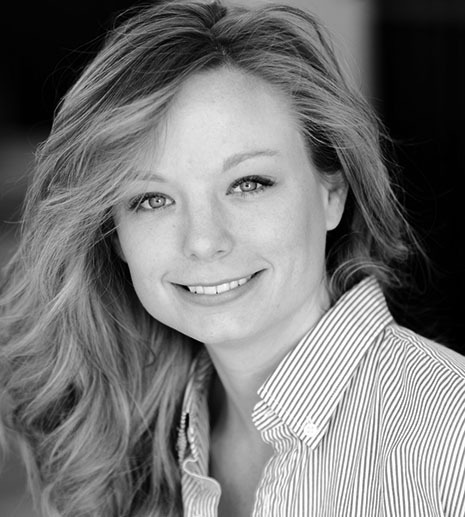 She brings skills, experience and work ethics from her past in career/admission counseling and professional beach volleyball playing days, along with her love of music into the studio to create her unique style of teaching. She hopes to help students build the foundation toward a healthy, lifelong, invigorating yoga practice for years to come. If you want to do yoga, at any age, weight, or strength level, we welcome you. Read our helpful guide on which classes we recommend for beginners and what to expect on your first day of class.